Want to save all your harvest or overstock fresh produce? Aside from canning, you can turn those into delicious chips, flakes or dried food using a food dehydrator. Jerky? Backpacking? Pet treat? No problem! There are lots of brands and models on the market with loads of features, but here are our selections with Pros and cons on 6 best food dehydrators that do the job well and fit many home uses. Read on to the very end for our food dehydrator guide on how to choose, general using, comparisons, and recommendations. At this time, the Excalibur 3948CDB is the most powerful dehydrator on the market for home kitchen. It built with all commercial quality components and design: large fan with long life span, digital control from low 95 F to 165 F, longer 48 hours timer, variable temperature settings and timers… All of this are back up with a good 10 years warranty. Now that just sounds amazing if you’re seriously into dehydrating. This is a beast, so just throw everything you have at it, fruits, jerky, soup, powder based, etc. If you have ever stop in the world of food dehydrator, this Nesco FD-75A (and many of its predecessor models too) will probably showed up as the most popular among small dehydrator. Nesco is praised for their line of dehydrator for many years, for which they all work decently at a very affordable price. 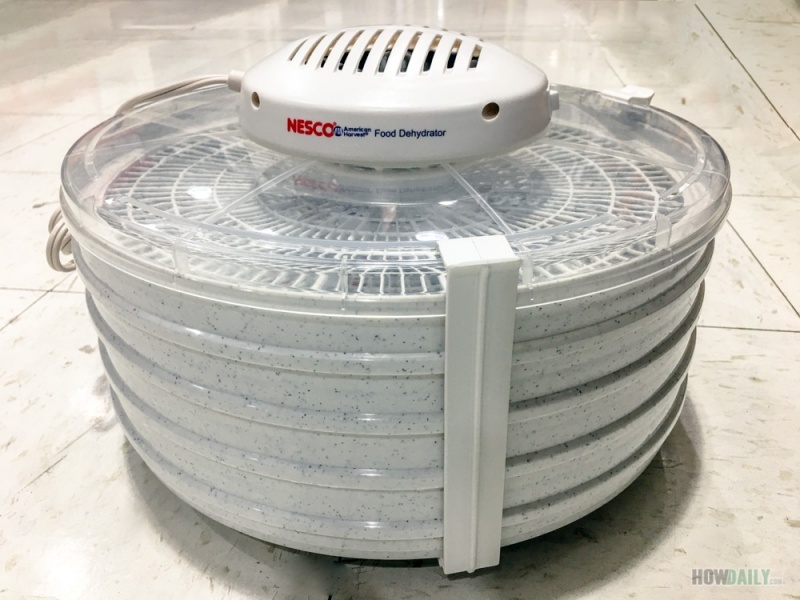 This model, the Nesco Snack master FD-75A is a 5-trays basic dehydrator with 600 watt top-mounted fan. That mean you could always add more trays if needed later on (12 trays max). The down side, any trays beyond standard and you will have to rotate them in between, due to uneven air flowing. This model comes bundle with 2 fruit roll sheets, 2 clean-a-screen, recipe book, thus, for a first timer or smaller batch, you probably don’t have to buy any extra accessories. If you could afford this medium price range ($100-$150) and want the most versatile dehydrator, give this Magic mill a try. 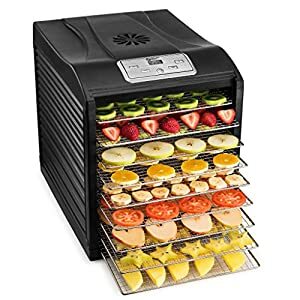 Though the brand name is not that familiar, the dehydrator itself has lots of features that only found in commercial dehydrators like: shelves design w/ clear door, stainless steel rack, rear mounted fan, preset thermostats, digital timer with automatic shutoff… All of that for a fraction of a price, only ½ to 1/3 compared to branded name’s similar functions model, now that is a steal. This dehydrator also came bundling with extra plastic sheets such as fine mesh and leather trays for fruit rolls, so no need to buy extra. Available in 6 and 9 trays size models. BPA free on everything: racks, door, mesh, etc. This Excalibur dehydrator is considered one of the best commercial-quality built for normal home uses. It is equipped with a long lasting 10-year rated motor on large 7” fan that is reared mount. 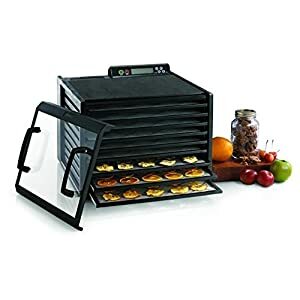 If this is your first dehydrator, consider this dehydrator as it’s so powered pack and would save you from many frustration. The shelves design definitely worth every penny, since it allows you to remove tray(s) for larger food items, fermenting bread dough, cheese, yogurt and bunch of other tasks that require constant precise heat. Best thing yet, these are made in USA with 5 years warranty from a very responsive vendor that is well known for its reputation. Thus, if you have some to spare and want a dependable dehydrator, try this Excalibur. A cook book and a few extra silicone mats are what you will need to purchase extra to make fruit rolls or puree leather. 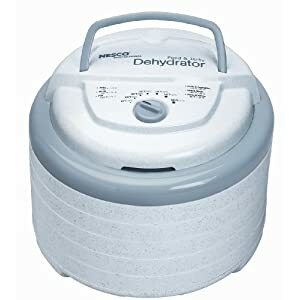 One of the cheapest food dehydrator you could find that actually worked and dehydrated something. This Presto 063 food dehydrator prices under $40 and equips with a 600W bottom-mounted fan. The basic model defaults with 4 trays and can be expanded up to 8 trays max. 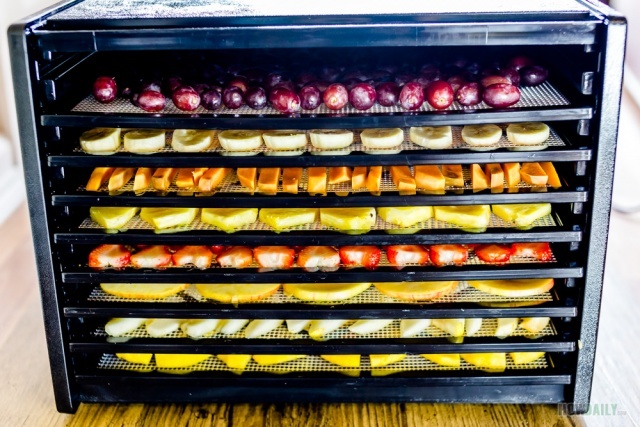 Just a very simple dehydrator, just slice some fruits evenly, arrange onto trays, stack and plug-in. The capacity is on the smaller side, as is 8 medium apples per 4 trays. 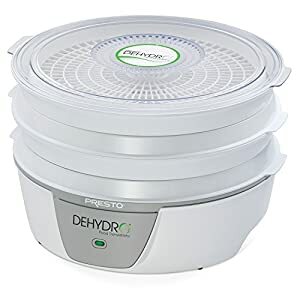 Another Nesco that is quite popular due to the ability of dehydrating large batches at once for just a little over $100. This Nesco Gardenmaster FD-1018A model comes with 8 plastic trays and can be expand up to 30 trays. This means that you can dehydrate at max 30 sq ft of fruit/veggies at the same time. Of course, same as any bottom-mounted fan, you have to rotate the tray a few times to ensure even drying. The bundle included all necessary accessories like fruit roll sheets, non stick screen, so you don’t have to buy anything extra. 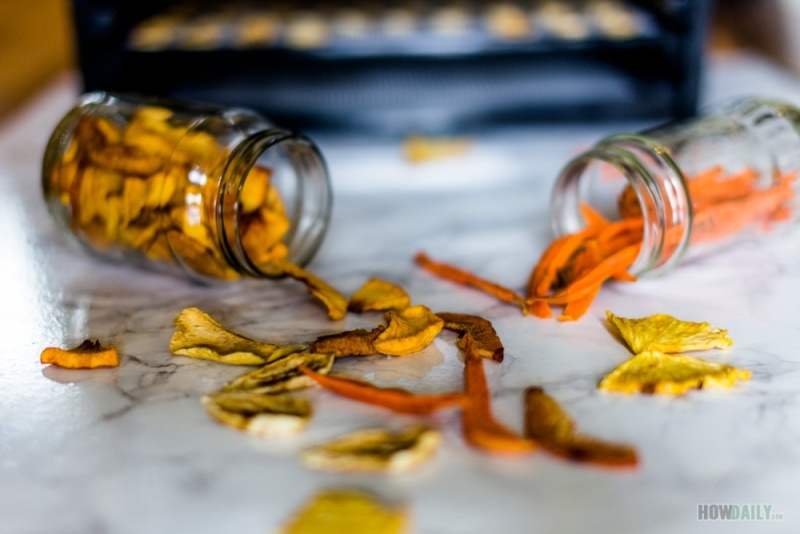 You have heard of dehydrator many times but still not convincing of getting one, these are the many benefits that you might have missed out. It’s proven that some, if not all food lost some of their nutrition when being cooked. That is why there is a trend on raw food diet, which many considered to attain the most out of their food and veggies. Food dehydrating is one of the best methods to preserve the food of all vitamins, minerals and nutritional benefit while making it tasty too. Another major benefit is the ability to preserve food much longer, without any chemical or undesired additives. Once you dehydrate food right, it can retain all of its nutrition for 2-3 years with proper storage and all. 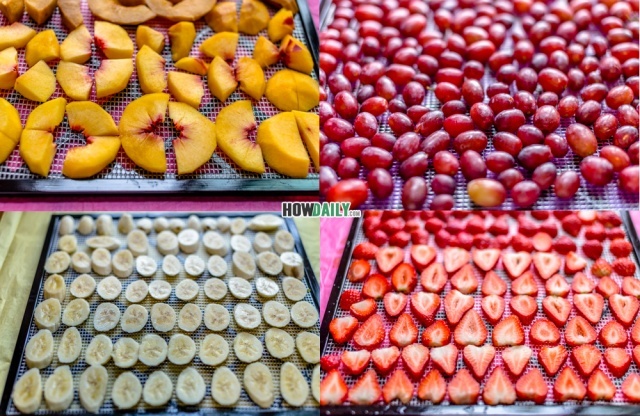 So, if you have a garden or patch of pumpkin, tomatoes, strawberries… turn them into yummy treat by dehydrating. It’s so tasty and could go side-by-side with your usual canning too. 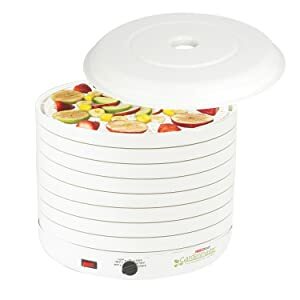 For those who are active (camping, backpacking, work out), you might find that food dehydrator will help you so much by drying the whole meal or soup effortlessly. You can also dry then ground ingredients into powder to blend into energy drink. No need to buy that expensive power pack again, just imagine how much you would have saved. These days on market, there are tons of brands manufacturing food dehydrators. Of course, not all food dehydrators are built the same, so depend on your budget, let take a look at some of the factors that are values toward your decision. Home food dehydrators are typically fallen into two designs, vertically stacked tray with one directly on top another or the boxed type with removable shelves. There are advantages and disadvantages to both designs, however, depend on your situation, one might be better fit than the other. Here’s a table to illustrate some differences and more descriptive information followed. If you don’t want to spend too much, then your choices are probably limited to the top or bottom -mounted design. 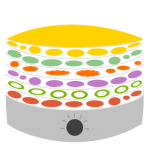 In this design, heat is generated through the top/bottom mounted heating element then usually flowing vertically through a center hole of each tray. Good thing about this design is that you can expand its capacity to like 20 – 30 trays (30sq ft) if you feel the need later on. However, tray rotating is mandatory for any capacity goes beyond the basic. Another down side is the need of frequent maintenance, as food is dripping or bits falling down to the fan area. The top –mounted fan eliminated this issue, however, present more inaccuracy heat distribution and the need to stop machine then restart for every tray rotation or removing. The shelves or box like design usually have more flat out all even temperature control. Due to the rectangular design without center hole, each shelf in this type of dehydrator can carry more ingredients, up to 20-35%. This design also eliminate the need for high maintenance, just add some liner at the very bottom and you can virtually wipe off and go. You won’t have to rotate trays/shelves and food still comes out in the same state. 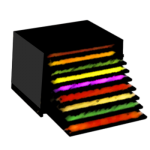 The down side is any dehydrator of this design would cost at least 100 bucks or more, and the size is fixed, that is, no expanding in the future. So you have to know how much your family would need beforehand. As you already have a budget in mind and known what type of dehydrator to get, let’s look at the sizing. Just like with any appliance, always get a size step-up from what you actually need. It’s better to have the ingredients spacing out a bit and roomy in a larger dehydrator then having to cramp them up or run a second batch. This is mostly due to the time consuming with an average drying time would be for hours to days. Depend on the ingredients, you could estimate the capacity need. For instance, 1 lb strawberries, 2 apples, 2 bananas or 2 large tomatoes when slice and arrange would cover about 1 sq ft. So depend of how much you want to dehydrate in a batch, multiply to get your perfect fit size. Other things to take into consideration are how often will you be dehydrating and for what purpose or what ingredients being used. Let’s say you often drying jerky, then a dehydrator with high temperature of 160F or above would be need. If drying herbs are your mandatory, a machine with adjustable low heat is more fit the bill. For any multipurpose dehydrating, getting one with an adjustable temperature dial or control would proof you from many frustrations. Then there also the timer setting with automatic shutoff that serve more or less for convenient purpose, after all, you don’t want to wake up in the middle of the night just to turn it off, right? There are several popular brands of home dehydrators that are popular. You might have heard of them like Excalibur, Nesco, Presto, Lequip, Sedona… Of all these brands, Nesco is one of the most popular among brands that produce economy dehydrators. Their dehydrators have been on the market for years, which lots of models, mainly top and bottom-mounted fan designs. 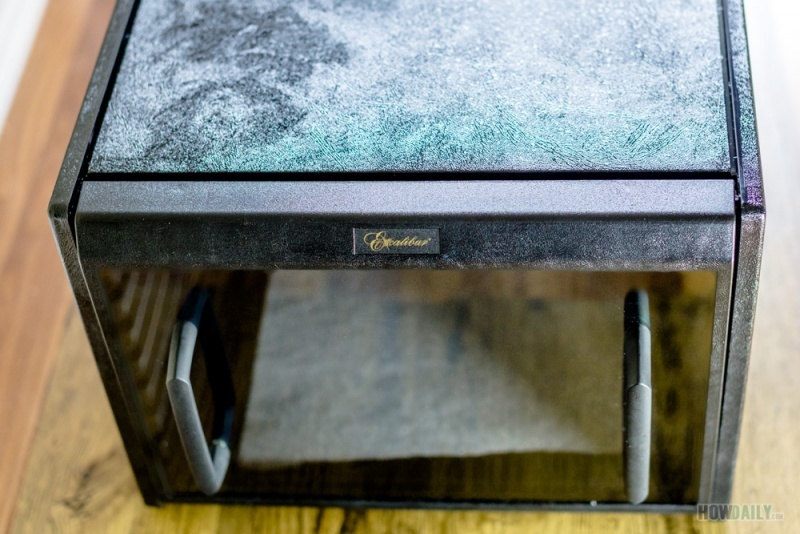 Their dehydrators are all made in the USA, though with the low price there are introduced, many are complaint on the short lifespan just past warranty. On the plus side, their dehydrators always come with ready-to-use kit and bundle with all accessories and recipes. Now, if Nesco stand out among economy dehydrators, then Excalibur is meant to be the king, just like how Kitchenaid or Vitamix dominating their respective ground. Excalibur manufactured all their dehydrators in the States, and back them up by a hassle free 5 to 10 year warranty. A very trustworthy brand that is also well-known among commercial dehydrators. 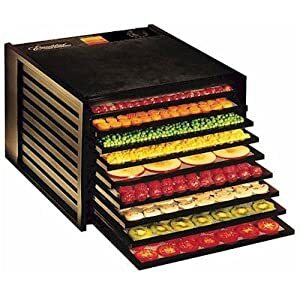 They have two lines of dehydrator: the economy 2900 and more luxury 3900 series (2400 & 3400 for 4 trays models respectively), both serve wonderfully for any serious home kitchen dehydration. Prepare raw ingredients: wash, pat dry and cut into thin slices with uniform shape and sizes. Some foods need special pre- treatments like apples, banana, meat, etc. Arrange onto trays: arrange all same ingredient onto tray without overlapping. Parchment lined or use silicone/nonstick mat for puree or smaller items like herb. Set trays into dehydrator box/stack. Make sure there is enough space on the back (box model) or on top (stack model) for heat ventilation around the dehydrator. Set the temperature and timer if available. 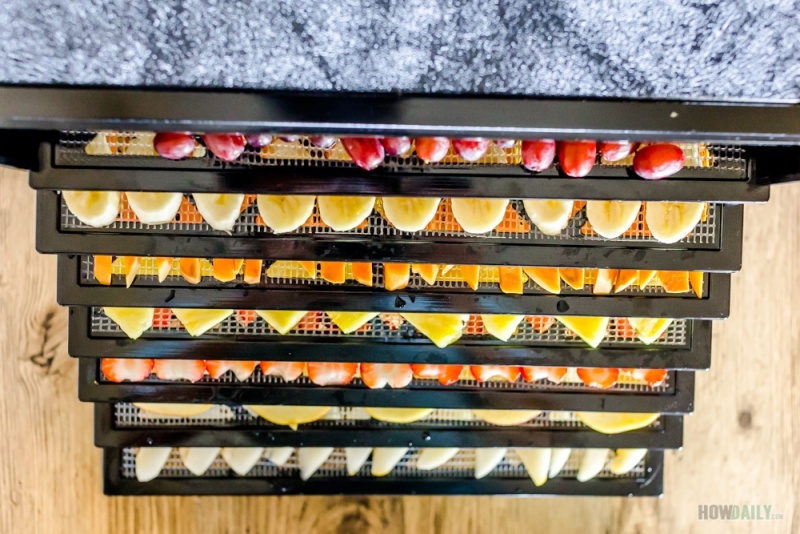 Tray rotation or shuffling: some dehydrators, especially those designed with stackable top or bottom-mounted fan; do require shuffling the trays in between to ensure even dryness. Once the food is done, store the finished dehydrated food in airtight container in a dark and dry area. Vacuum seal if available for longer storage. Throughout this guide, hopefully you will be able to find a good food dehydrator that will meet your need and option. Once you come to one, make sure to let it run/air for at least 30 minutes to release all the gas before trying your first attempt. Happy dehydrating and let us know how yours is doing, ok! !